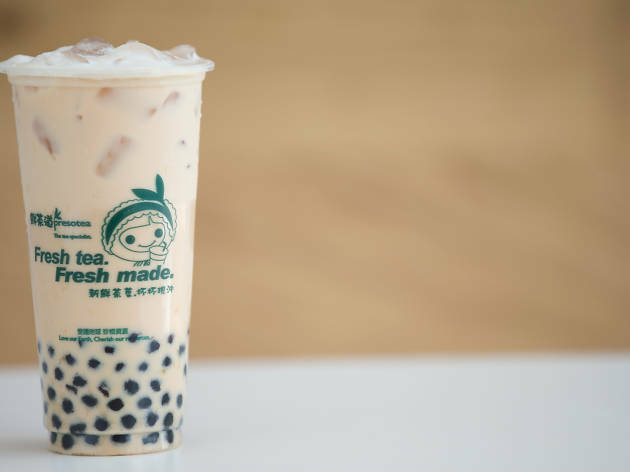 [Sponsored] After building a huge fan base in its hometown of Taiwan, Presotea will be opening up its first East Coast Australian store. Founded in 2006, the Taiwanese drink purveyors pioneered an in-store espresso-style tea brewing process, which captures the essence and freshness of each tea flavour. They'll be setting up shop in Westfield Hurstville, peddling milk teas, fruity refreshments, matcha lattes, Oreo Cocoa shakes and more. In store you can customise your drink by choosing your base (like the signature milk tea or matcha), selecting your topping (panda pearls or pudding), then picking your level of sweetness. Finally choose your ice level or temperature (room temperature, warm or hot), and you've got your very own personalised Presotea bubble tea. 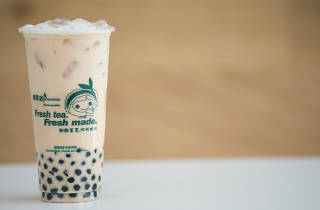 To celebrate its opening Presotea will be offering a bunch of special deals – you can get a free upsize on Nov 16, a half-priced drink when you buy any other drink on Nov 17 and finally, on Nov 18, you'll get a free drink when you buy one.